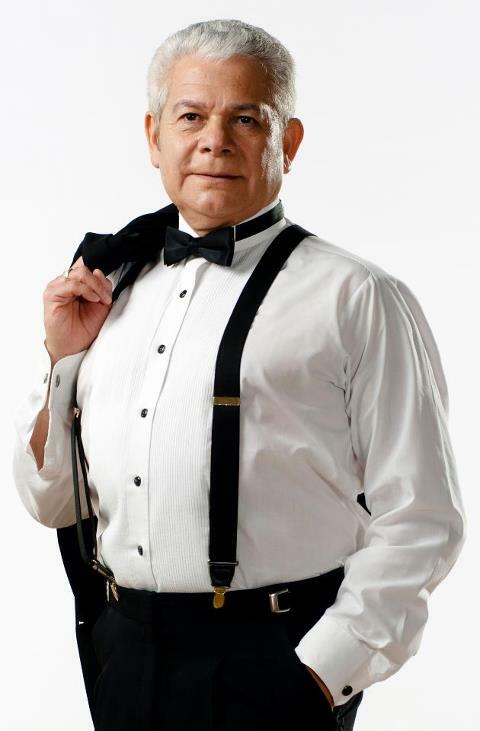 It is obvious when you meet Pampa Cortés, that he lives and breathes Tango. 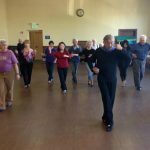 This past Thursday the Bay Area Tango community gathered together at the Verdi Club to celebrate Tango legend, Pampa Cortés. This evening was a very special night. 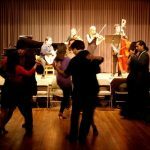 Two of our favorite local Tango orchestras, Seth Asarnow y su Sexteto Tipico and Trio Garufa, performed to a packed room. 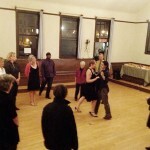 A Chacarera class was taught by Gigi Jensen, Marcelo Solis, and Christy Cote. 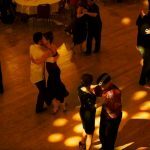 There were empanadas, alfajores and a cheerful spirit running through the milonga. We all braved the cold to not only celebrate Pampa but to help raise funds for his medical expenses. It was recently announced that Pampa is battling cancer. He is currently taking a medical leave from teaching and performing, but this past Thursday, Pampa would not let illness ruin his night. He was intent on sharing his charming, gregarious and humorous self with us all, and that he did. On this night it was also announced that this coming Wednesday, December 11th, will be recognized as Pampa Cortés Day by the Mayor of San Francisco. December 11th will not only be a special day for Pampa but the entire Bay Area Tango community. Pampa Cortés will be honored under the rotunda at San Francisco City Hall this Wednesday, December 11th at noon. There will be a special presentation to Pampa, including a special proclamation from the Mayor’s office, followed by a dance presentation in his honor. Pampa, born in the Argentine province of Santiago del Estero, began his professional dance career at the age of 15. For five decades he has shared his love of Argentine Tango and culture around the world. 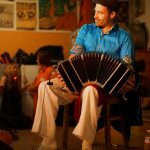 Pampa is not only an accomplished, world-wide known Argentine Tango teacher, performer and choreographer, he is also a master folkloric dancer, performing the challenging malambo de boleadoras. 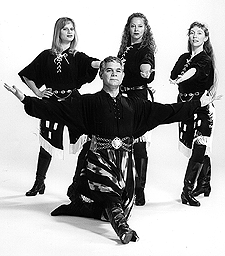 He has trained numerous generations of Argentine folkloric dancers. It is in San Francisco, California that Pampa Cortés formed his own company, Tango A Media Luz, through which he presented full-length stage shows in various West Coast cities. His list of accomplishments is extensive and too much to list here, but you can read his full bio on Tango & More. 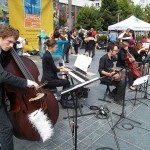 Pampa Cortés has been the “artist in residence” of Tango & More since 2009. 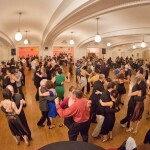 Tango & More Argentine Dance was founded in 2006 and is an offshoot of Tango A Media Luz. Pampa Cortes, is the Artistic Director of Tango & More. Gigi Jensen is the Administrative Director and Warren Jensen is the Technical Director. 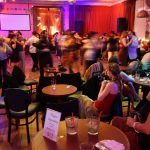 Tango & More is dedicated to sharing Argentina’s rich dance and music and they do this by offering both professional entertainment and educational programs. If you would like to help show your support for Pampa Cortés please visit Tango & More website for details on how you can send in donations. If you have any questions, please call Gigi: (510) 326-6415 or email her at info@tangoandmore.org. She is taking your messages and calls for Pampa so he can rest. 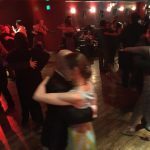 Enjoy this collage of photos from Pampa’s extraordinary Tango life. Update: Pampa Cortés passed away April 27, 2014. He will always be remembered in our hearts.